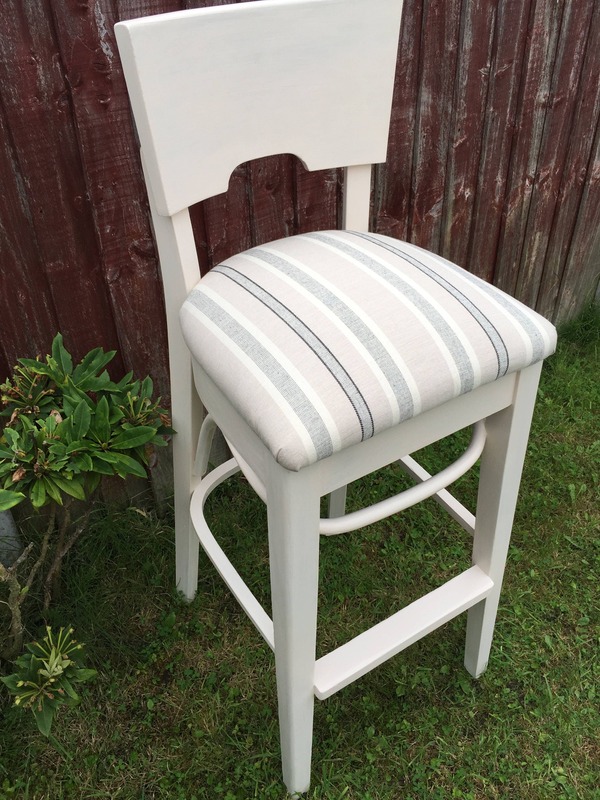 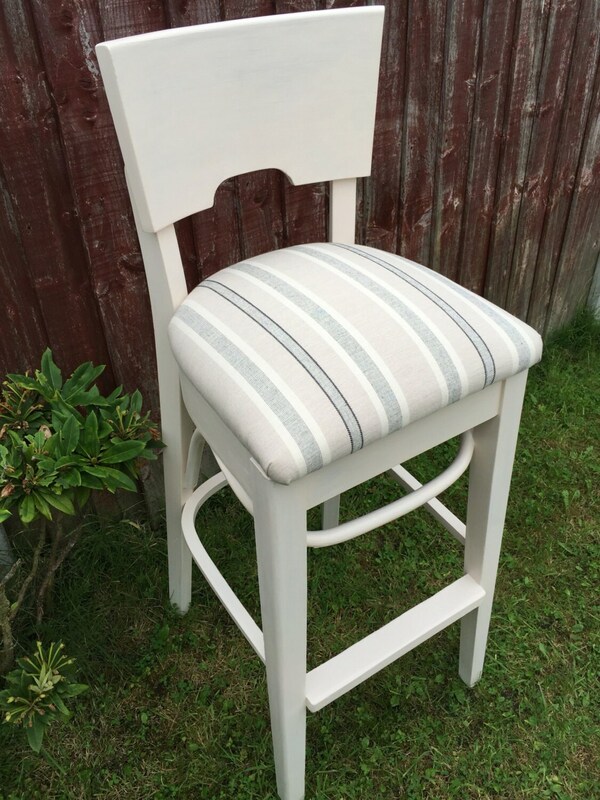 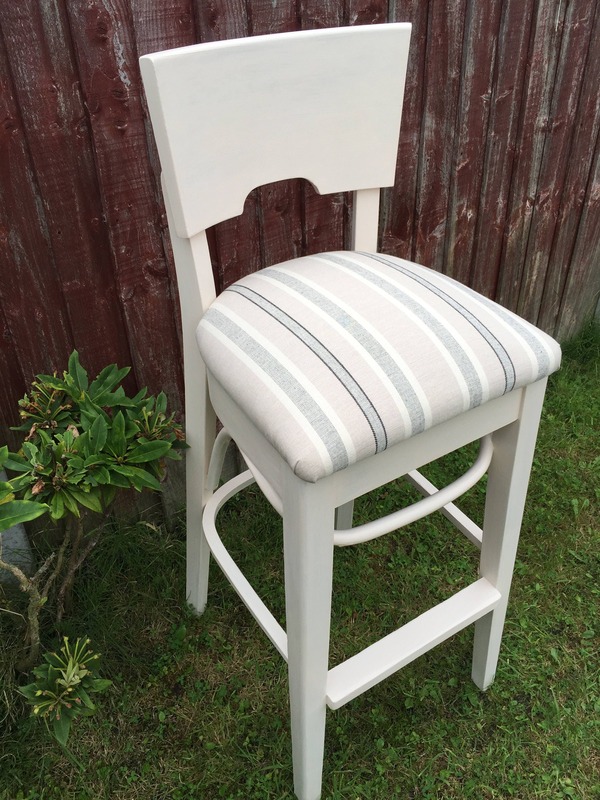 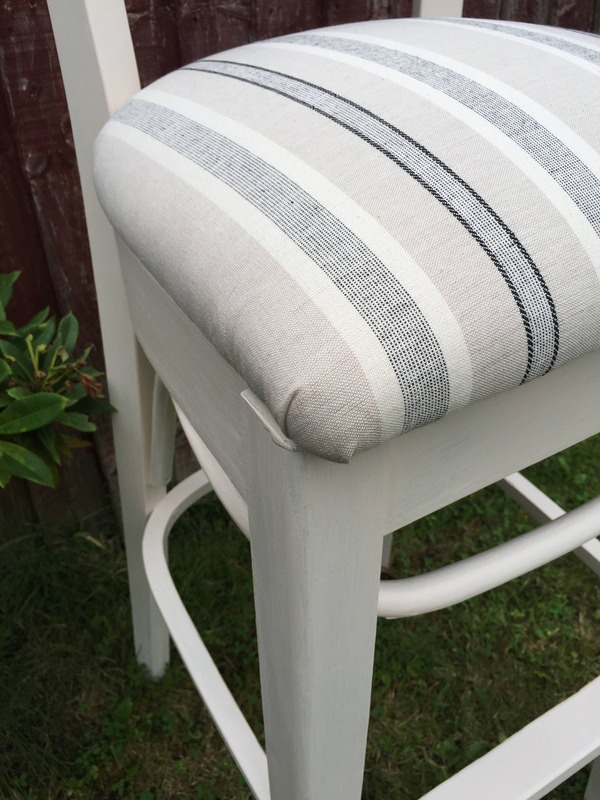 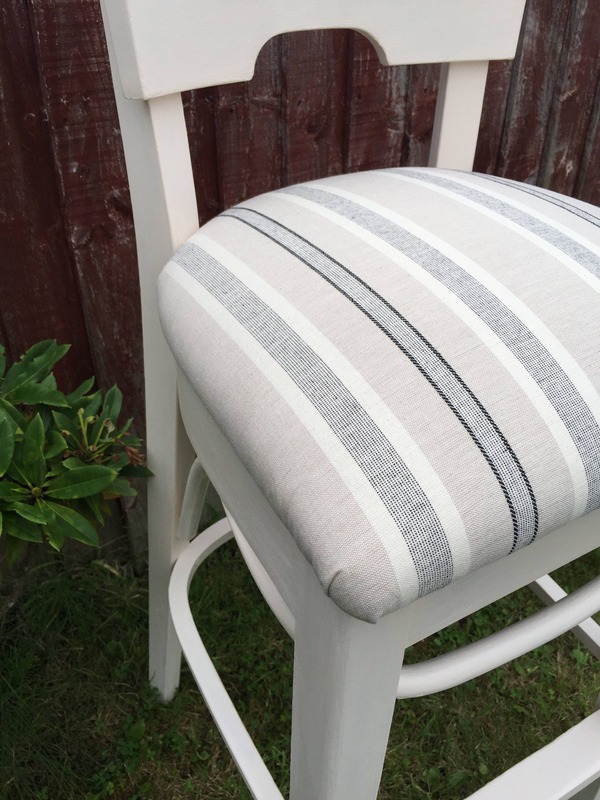 These are Retro style kitchen bar stools / kitchen high chairs painted in cream and re-upholstered in a cream + beige + grey-black ticking style fabric. 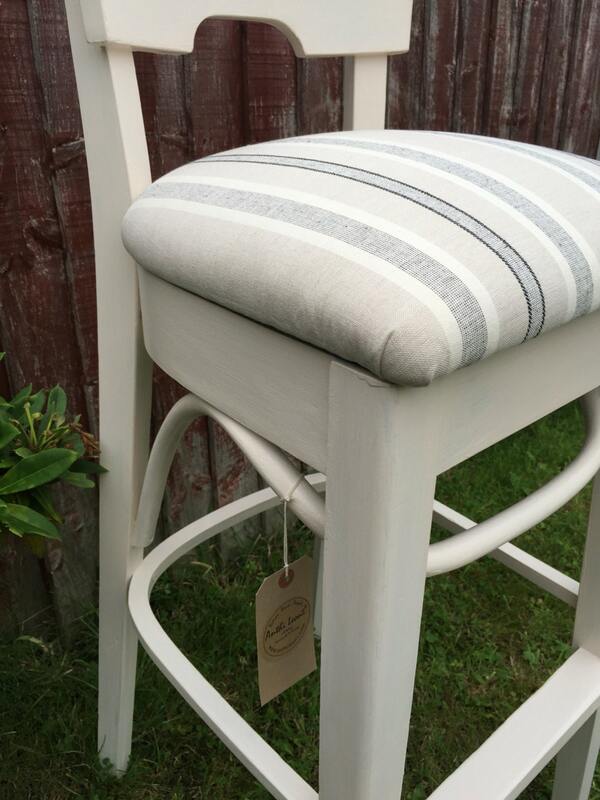 These beautiful chairs have been painted with an Eco friendly chalk and mineral paint and sealed for extra durability. 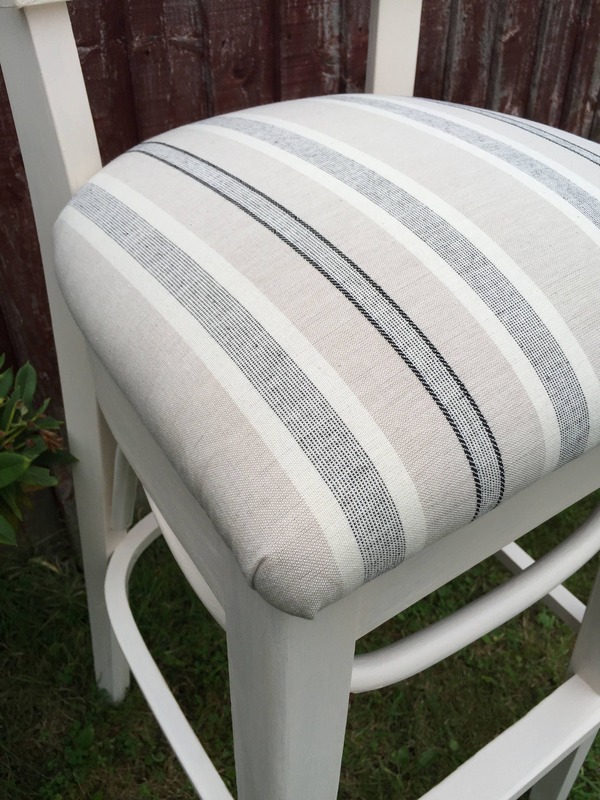 They have also been upholstered with thick soft padding for extra comfort and cushioning. 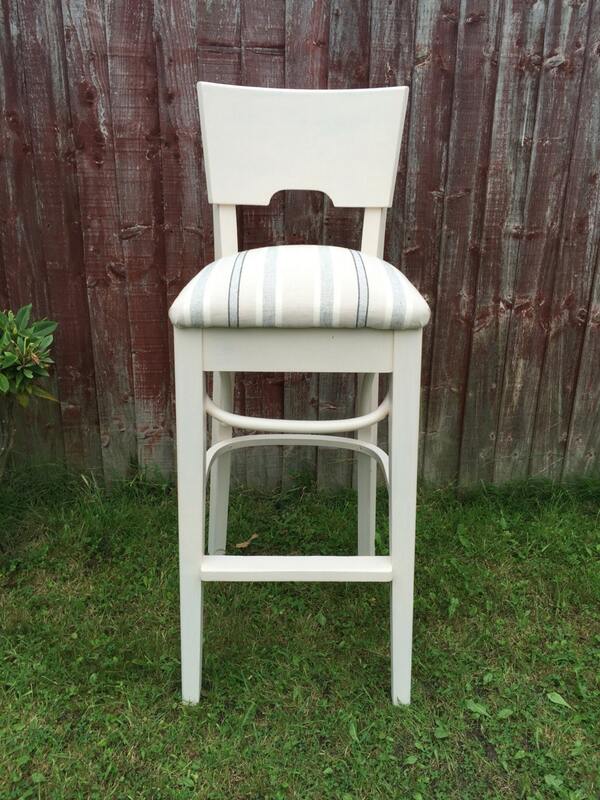 Now only 5 chairs left so act fast and order yours today before they sell out.